A brief explanation of, and guide to, multiplayer. Named Aces / Bird of Prey Guide. How to Counter SASM Spam in Multiplayer. In your time playing multiplayer, you've probably noticed several strategies that are absolutely infuriating to be shot down by. QAAM and 4AAM Spam, EML sniping, and "Star Wars" are all among these. In this section, there will be brief descriptions of each strategy and how to counter it. Description: Pursuing aircraft gets incredibly close to target and fires two QAAMs, usually resulting in the target's destruction. Pursuing aircraft is usually approaching from either the front of the target or the sides. Counter: Don't overuse high-g turns. Although effective in a dogfight, it lowers your speed and leaves you vulnerable to QAAMs. If possible, disengage from your current target to engage the aircraft that is using QAAMs. Description: Pursuing aircraft makes liberal use of pulse lasers, whether at long range or in a dogfight. 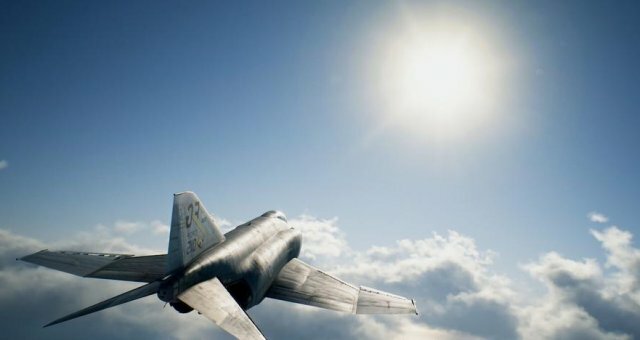 Counter: In a dogfight, speed up and maneuver randomly. Pulse lasers essentially function as a futuristic set of MGPs, so a combination of high speed and erratic movement will force the pursuer to do the same, making you difficult to hit. At long range, don't fly in a straight line. Description: Pursuing aircraft uses all four 4AAMs on one target, usually at close range. Counter: Try to enter a cloud. Speed up, then maneuver wildly like in the Star Wars counter. The clouds will break the lock and your maneuvers will render 4AAM ineffective. Description: Pursuing aircraft, a MiG-31, sticks to the edges of the map and occasionally makes a few strafing runs wherever the most enemy planes are, often using SAAMs. Counter: Charge the MiG-31 and fire two LAAMs at it. This will force the MiG to maneuver, (breaking the SAAM lock) and allow you to get behind it and begin firing. MiG-31s aren't known for mobility, so you should be able to destroy it fairly easily. You could also use an EML to take down the MiG from long range. Description: At the beginning of the match, or when respawning, an aircraft fires its EML at a target on the other side of the map. Counter: Don't fly in straight lines. Even a small amount of turns put you out of the path of an EML projectile. Description: A high-ranked player joins your match flying the X-02S and proceeds to stomp your team into the dirt. Counter: DM the host and ask that the cost limit be set to 2500. Most maps are nothing special, and require no extra precaution. However, Yinshi Valley, night and morning, is different. Morning is relatively straightforward, just avoid the rock pillars and you'll be fine. Night is an entirely different story. A thunderstorm covers all of the map, rendering you vulnerable to high winds and lightning strikes. The clouds are lower than the tops of the rock pillars, in some cases. Below is some information to keep in mind. If an enemy dives into the rock pillars to evade you, follow him but stay above the pillars. Out of ten times where this happens, it seems that in two or three the enemy will crash on their own. If you're struck by lightning, level the aircraft and try to gain altitude. Lightning strikes and the resulting HUD glitches will break missile locks. The following are questions often asked by those new to the multiplayer mode. How do I recieve the OADF emblems? Complete the campaign on normal or higher difficulty. How do I recieve the X-02S? Complete the Campaign on normal or higher difficulty. It is then available for 2,000,000 MRP with the YF-23, F-22A, or SU-57 as a prerequisite. You only need to obtain one of the previous aircraft to unlock it for purchase, though. Shot Online - What is G1 Clothing Sets?